Listen & Live Audio, 9781593161408, 7pp. 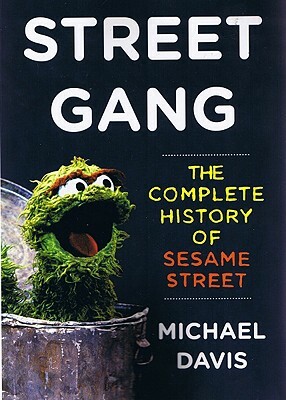 In advance of the 40th anniversary of Sesame Street, comes Street Gang, Michael Davis's compelling--and often comical--story of the creation and history of the media masterpiece and pop culture landmark, told with the cooperation of one of the show's cofounders, Joan Ganz Cooney. Sesame Street was born as a result of a discussion at Cooney's home about the poor quality of children's programming, and hit the air as a big bang of creative fusion from Jim Henson and company, quickly rocketing to success. Street Gang, traces the evolution of the show from its inspiration in the civil rights movement through its many ups and downs--from Nixon trying to cut off its funding rise of Elmo--via the remarkable personalities who have contributed to it, and reveals how it has taught millions of children not only their letters and numbers, but cooperation and fair play, tolerance and self-respect, conflict resolution, and the importance of listening.